Are there too many ads? One does not have to look far to find the irony that this question was posed by NH Business Review columnist Ron Bourque in the March 15-28 issue of NH Business Review, a publication that relies, I’m assuming, largely on advertisers to keep afloat, so I’m sure they are wishing that readers didn’t rethink their advertising, as the sub-head suggests. 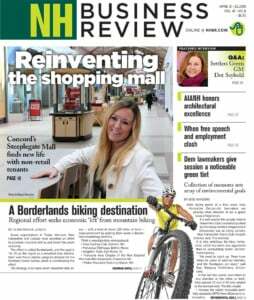 As a seasoned member of New Hampshire’s growing population of marketers and advertisers, I’m here to rebut Mr. Bourque’s claims that there are too many ads. To truly understand the world of advertising and its necessity in our society, we need to take a step back and see our world without it. Cities with no color, because no one ever told us what’s en vogue. Business signs all with Times New Roman font, indistinguishable from one another. Countrysides without imagination, because no one told us we could survive hiking in the winter, or scaling a rock face with nothing more than a rope and some cleverly designed equipment. A world where religion and culture never spread to faraway lands because no one ever sold anyone else on their religious beliefs or on the fact that pizza is fantastic and should be replicated here in the States. Yes, at some point, all of the pizza tastes the same, as Mr. Bourque struggled to point out in his coffee metaphor, but a million different options are better than none. This is America, isn’t it? It’s the land of infinite possibilities, including having a Starbucks on adjacent corners like in Houston, Texas. It is true that the amount of time spent watching commercials between shows has grown over the years, but so too has our thirst for entertainment, and very high-quality entertainment, at that. The cost to produce that content has also grown exponentially. The cost of the equipment used to produce that content has also grown. Consider for a moment that the camera that we use to produce web and television content here at New Sky Productions costs about as much as a mid-range luxury vehicle, and you’ll soon understand why that time gap has grown. In 1952, “Dragnet” had only four minutes of advertising per episode, making it a 26-minute episode. Today’s half-hour broadcast is 22 minutes long. The advertising time has doubled, but there are also many more demographics being sold to. Advertising is expensive, Mr. Bourque claims, and while there is expensive advertising, there is a surplus of extremely affordable advertising that can be had nearly instantly. In fact, it’s just one way our industry has changed over time. Lastly, advertising is critical in the development of business, which is what drives jobs, which are what gives people money, so that they can purchase things and allow for businesses to continue functioning. It’s how you know what kinds of features you’re looking for in a soul mate, helped you decide where to live and what allows for us as Granite Staters to continue to function without a sales tax. Without advertising, and lots of it, we become a very different and more boring society. So, the next time that Geico ad comes on for the 10th time in a half-hour, thank an advertiser that you know how to save 15 percent on your car insurance. Grant Morris is founder and executive producer of New Sky Productions.